10 March 2015, at 11:09a.m. 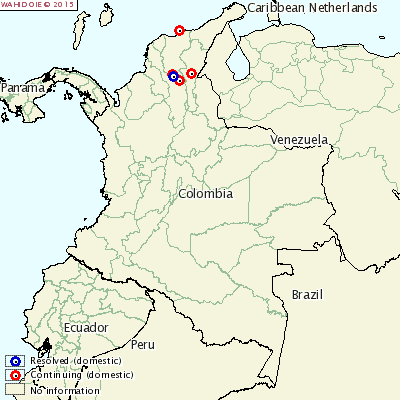 COLOMBIA - Six new outbreaks of Classical Swine Fever (CSF) have been reported on farms and backyard operations in the country. In total, 216 cases have been reported and as a result, 191 pigs have died. The pigs contracted the disease through contact with other animals from other farms and from the movement of animals. The lack of biosecurity measures and swill feeding is also to blame. Although the event is not resolved, the situation is sufficiently stable.